Noted. | FineStationery.com: Black Friday Sale! Shop FineStationery.com now to save on all the top brands in fine stationery including William Arthur, Vera Wang, Crane & Co., Boatman Geller, McPhersons, Carlson Craft, BirchCraft, Checkerboard, Stacy Claire Boyd, Prints Charming and Caspari. 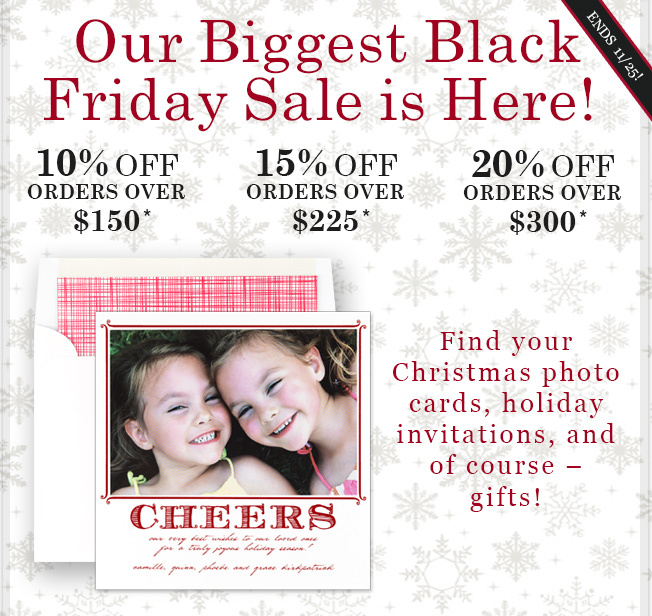 It's the perfect time to purchase Holiday cards, invitations, stationery, personalized gifts and more! Happy Shopping!